Cinderella needs her glass slippers repaired because 'Junior' was using them to squash mosquitoes and smashed one of them. 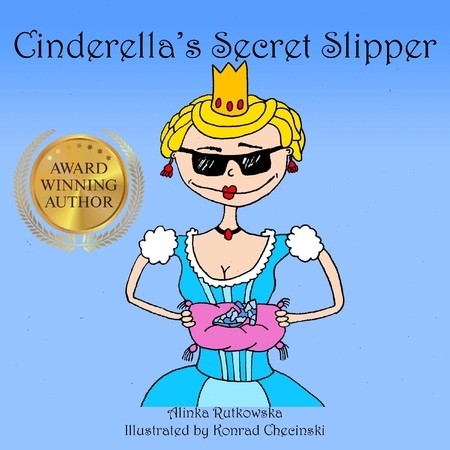 A colourful, entertaining little addition to the Cinderella story. This story would be a perfect five minute read at the end of the day or in the early years classroom. There are multiple choice comprehension questions at the end which a teacher may find useful in assessing story recall. A copy of the original Cinderella story at the end of the book is also a welcome added extra. I would recommend adding this picture book to an early years classroom library.